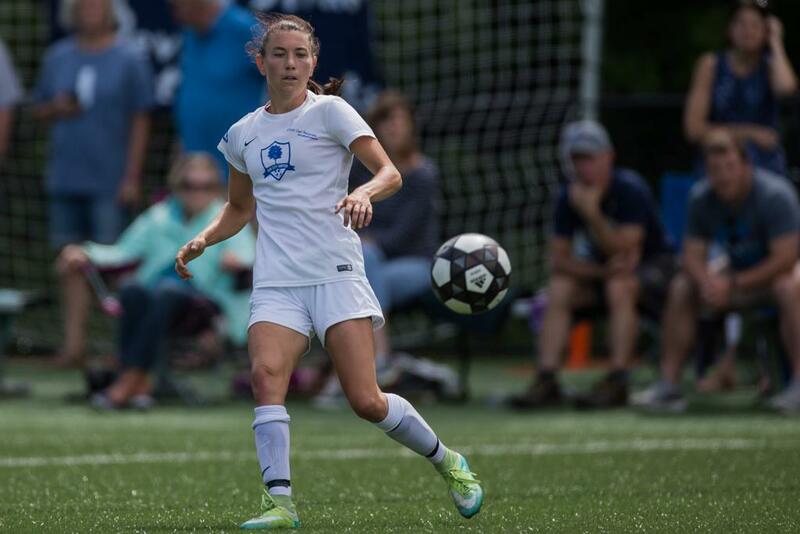 Michelle Kasold made a splash this season with Oak City United in the Carolinas Conference, earning her an All-Conference nod alongside teammates Claire Griffiths and Suzie Zigante. But Kasold is much more famous for where she spent the summer of 2016. Before joining Oak City United, Kasold was a mainstay with the United States women's national field hockey team. “I started soccer when I was four," Kasold said. "It was my first sport. I didn’t pick up a field hockey stick until I was 12, right before sixth grade. One of Kasold’s biggest motivations was a long-standing dream of becoming an Olympian. Opportunities early in her field hockey career to join the youth national team pushed her further towards the sport. Kasold achieved her dream twice over, representing the United States in both London in 2012 and Rio de Janeiro in 2016, while also winning two gold medals at the Pan-American Games. The game-winning goal she scored in the USA's 2016 Olympic opener against Argentina is a career highlight. Kasold credits her time playing soccer for some of her success in field hockey. “I think, in general, kids are more successful when they grow up playing multiple sports,” Kasold said, noting that most of her field hockey teammates also grew up playing soccer, and that soccer drills were a regular part of her life with the national team. Although the transition from kicking a ball to handling it with a stick took time to learn, she found familiar footing in field hockey.